“I have lost a treasure”, wrote Cassandra Austen on the death of her sister Jane. The literary world too lost one of its brightest treasures when Jane Austen died on 18 July, 1817, aged only 41. Around the world those who love her six novels will mourn her loss and celebrate her legacy. 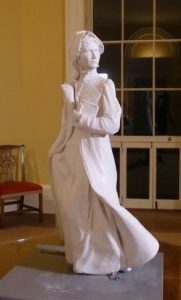 There is plenty happening in the Jane Austen world this July – a new statue is going up in Basingstoke (the first statue of her ever created), Jane Austen’s face will appear on the £10 banknote and on the £2 coin (making her the first person ever, apart from a reigning monarch, to appear on an English coin and banknote simultaneously), public benches shaped like half-opened books and adorned with Austenian scenes have been erected around Hampshire, her words will appear in public places when it rains (in a project called ‘Rain Jane’), exhibitions will be staged around England on her life and fiction, and there will be dances, costume parades, guided walks, talks, new Jane Austen merchandise, and more. Jane Austen societies in the UK, USA, Canada, Brazil, Argentina, Denmark, Netherlands, Germany, Singapore, New Zealand, Japan, the Czech Republic, Italy and Pakistan will celebrate Jane Austen’s extraordinary literary legacy. Australia too is marking this important anniversary with an academic conference in Adelaide, an exhibition of rare Austen books in Melbourne, talks, a memorial service including her own prayers at St James’ Church in Sydney (which dates from Austen’s time), a trivia night at the State Library of NSW, and a Jane Austen Society of Australia High Tea held at historic Curzon Hall in Sydney, an event which has been booked out for weeks. The Jane Austen Society of Australia is the largest literary society in the country, and its publications will also honour this important date. Any major literary anniversary sees new books appear. Two hundred years since Jane Austen died, she is being more written about than ever. My own memoir Jane & I: A Tale of Austen Addiction has just been published as a testament to how reading Jane Austen can change and shape a life. My mother read me Pride and Prejudice when I was twelve, and life was never the same again. Jane Austen has been the cause of my career, my travels, most of my social life and has inspired me to become an author. 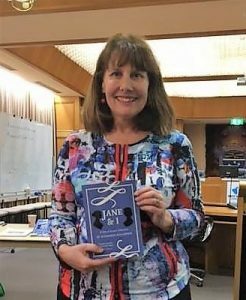 American professor Devoney Looser, who met her husband thanks to a shared love of Jane Austen, has just brought out The Making of Jane Austen which examines how Austen, a ‘no-name’ author in her day, became a major 21st century celebrity. Looser’s book recounts some of the bizarre tales connected with those who have illustrated, adapted, and used Austen’s work to further their own careers. English TV presenter and historian Lucy Worsley has published Jane Austen at Home and has also made a one-hour TV documentary on Austen’s various homes. Worsley had no new facts about Austen’s life to include, and has had to fight off some plagiarism accusations from other authors, but her biography is vivid and absorbing and is particularly good on Austen’s female friendships. Emma Clery has produced the fascinating Jane Austen: The Banker’s Sister, showing how Henry Austen supported his sister’s dream of publication, and how his bank and subsequent bankruptcy affected his sister’s life and writings. Helena Kelly’s Jane Austen: The Secret Radical makes a large claim with its title, and fails to really prove anything new in the way of radical behaviour which has not been discussed by other authors. Kelly has many excellent arguments to make, and writes with verve and conviction, but often goes too far. For example, in Sense and Sensibility Edward Ferrars cuts the sheath for a pair of scissors into pieces, in order to relieve his overcharged emotions – Kelly claims the sheath is symbolic of the private parts of his ex-fiancée, Lucy Steele, and that the action proves Edward to be suffering from a “deeply disturbing, unhealthy, sexually violent kind” of personality. Kelly lost me with such extreme theories. For a recent fictional version of Jane Austen’s life there’s The Prime of Miss Jane Austen by Lisa L. Jorgensen which depicts Austen in her twenties. Australian scholar Judy Stove has uncovered dark deeds, murder and intrigue amongst Jane Austen’s relatives at Stoneleigh Abbey in her interesting The Missing Monument Murders, published late last year; and Jane Austen’s five-times great niece, Caroline Jane Knight, has written Jane and Me: My Austen Heritage, a heartfelt memoir about being the last Austen descendent to grow up at Chawton House. Jane Austen’s interest in theatre, which resulted in the memorable theatrical scenes of Mansfield Park, has not been forgotten, with Jane Austen and Performance by Marina Cano discussing the many stage afterlives of Austen’s novels, from school platforms to repertory, while Paula Byrne’s Jane Austen and the Theatre, originally published in 2002, has been reissued as The Genius of Jane Austen with an added chapter on the movie and TV adaptations. Jane Austen’s place amongst other women writers has also been explored in A Secret Sisterhood: The Hidden Friendships of Austen, Brontë, Eliot and Woolf by Emily Midorikawa and Emma Claire Sweeney. The Austen segment of the book looks at Jane’s friendship with Anne Sharp, a governess in the home of her wealthy brother Edward Austen Knight. The two women enjoyed discussing contemporary novels together and Anne was the only friend to whom Jane sent presentation volumes of her Emma. In Not Just Jane Shelley deWees discusses other women writers of the era who helped popularise the novel, such as Charlotte Smith and Mary Robinson, but she fails to fully convince when claiming that these writers deserve to be as well known today as is Jane Austen. Pam Morris, in Jane Austen, Virginia Woolf and Worldly Realism, enters Austen’s world through material objects, showing how ‘things’ in the books give us entry into some of the topical and contentious issues of the day – guns and mirrors in Persuasion are two examples of the objects discussed. 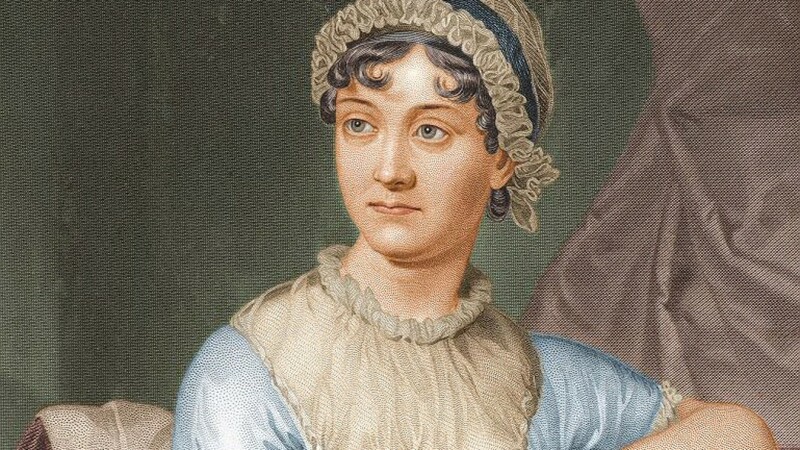 Many decades ago there was a mistaken belief that Jane Austen blithely ignored the political issues of her day, the war her country was involved in against France, and the emerging Industrial Revolution. Such books as Jane Austen and the French Revolution (1979), Jane Austen and Crime (2004), Jane Austen and the War of Ideas (1975) have demonstrated most convincingly that this was far from being the case. New Zealand academic Jocelyn Harris’s excellent Satire, Celebrity and Politics published early this year shows what a keen political observer Austen was, and how her interest in the celebrities of the day, such as actress Dorothea Jordan and Sara Baartman (an African woman with very large buttocks who was exhibited in English freak shows as ‘the Hottentot Venus’), influenced and inspired characters in Austen’s fiction. Probing the ethics of the era and the morality of Austen’s characters is Jane Austen and Philosophy, a selection of essays edited by Mimi Marinucci. 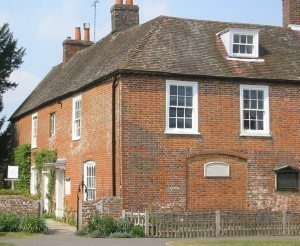 Jane Austen’s house at Chawton, Hampshire, England. Jane Austen tourism is flourishing this year, with greater than usual numbers visiting the Jane Austen’s House Museum at Chawton, popping in to the Jane Austen Centre in Bath and joining their Bath walking tours, or even people booking holidays on the Jane Austen cruise ship. Dutch author Karin Quint has brought out Jane Austen’s England, an English translation of her travel guide to the places associated with Austen’s life and movie locations. Maggie Lane’s On the Sofa with Jane Austen, a collection of essays, is virtually a travel guide to the Regency era, looking at apothecaries, clothes, make-up and furniture, amongst other aspects. 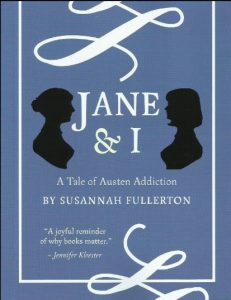 Jane Austen only wrote six completed novels, two unfinished ones, her hilarious juvenilia (all beautifully produced by the Juvenilia Press, based at the University of NSW, which gives students an opportunity to learn about editing the early writings of famous authors), letters and a few poems. It’s a small output, and most of us want more. That ‘more’ is provided by the writers of sequels, prequels, modernisations and re-writings, with varying degrees of success. This year is seeing more than the usual number of such books, with some of the most recent being Jane Odiwe’s Searching for Mr Tilney, Dorothea-Sofia Rossellini’s Mrs Clay, and Perception by Terri Fleming. But most sequels are intensely forgettable – it is the novels which have lasted more than 200 years and show no sign of waning in their popularity. The 18th of July is a memorable day in world literature. Mark this anniversary by going back to the novels that have spawned an industry and set a literary standard no other novelist has equalled. Let Sense and Sensibility, Pride and Prejudice, Mansfield Park, Northanger Abbey, Persuasion or that most perfect of novels, Emma, fall open at any page, enter the world of Jane Austen and prepare to be gratified, delighted, informed and entertained. Share your thoughts about Jane Austen, her books and add your own tales of Austen Addiction in the comments below. Listen to Susannah and Margot Riley from the State Library of New South Wales talk fans, flirting, manners and majesty in Jane Austen with ABC Nightlife’s Sarah Macdonald. Susannah Fullerton: Margaret Elizabeth Jenkins was an English novelist and biographer of Jane Austen. A wonderful article to mark this bicentennial of Jane Austen’s death. She left the world an extraordinary legacy and one which will be enjoyed by readers everywhere for centuries to come. Thank you for bringing Austen’s books to so many with such passion and enthusiasm. Vive Jane! Thanks Jennifer. It is a pity that the Sydney Morning Herald could not mark this important anniversary in the way The Australian did, but it is fabulous to know that today, around the world, the words Jane Austen wrote are being celebrated. Thankyou for this, Susannah. It is good to remember and enjoy this amazing author. In fact, to enjoy her over and over. She is one of the authors I keep rereading, because I find something new in her books every time I open them up. Treasure from the past. A treasure from the past, for the present and for all time. Jane Austen has brought so many wonderful people into my life, including you Malvina. Thank you for the reminder and the review of recent books on Jane Austen. In so many ways she invented the modern novel introducing satisfying plots, sub-plots, lively characters, contextual underpinnings and knowledge of human behaviour. All delivered with wit, irony and empathy. Her best novels seem to have a rhythm that cannot be bettered – i.e a satisfying sequence of cause and effect, engaging dialogue, amusing ironies, etc that produce a beautiful rhythmic flow in her best works – I think Pride and Prejudice and Persuasion in particular. They seem so unlaboured. They are a relief from the several novels today that emphasise their “constructedness” to produce a novelty effect. No doubt if she had been a man she would have been courted, feted and remunerated according to her genius during her lifetime (look at the adulation of Sir Walter Scott and his novels – his readership today is limited). But perhaps that constant anxiety or worry about where to live, with whom to live, dependency on her brothers provided the requisite life experiences to write with a sensibility unknown in English novels of that time. So today I am thinking about Jane Austen and giving thanks for a young woman, a great storyteller, who dared to write the world of her experience and her imagination in a way that still speaks to us today and provides immense enjoyment. You have put it so well and I agree with every word. Innovator, perfectionist, prose-stylist, comic, romantic – Jane Austen covered so much in her short life. I too am thinking of her so much today – a happy / sad day. We might not have much quantity, but she sure gave us quality. She has changed my life. I love how her stories describe the way of life in those days. So much easier to digest than a history book. When are you coming to NZ again? I was in the audience at Howick library in Auckland a couple of years ago , when you spoke about the Mitford girls. Probably I’ll be in Auckland in November, for my Dad’s 85th birthday, so hope to arrange something at Howick Library then. Thanks for your nice comments Carol. Yesterday I attended your wonderful talk at the Art Gallery of NSW and was so enlightened by your love and enthusiasm for Jane Austen. traced that little map of the village. I still have the old battered copy I bought years ago for my own daughter to read and often look at it and that cute map of the village. Ive also read some of it to my grandson and showed him the map of the village. For me reading is an escape away for the trials and tribulations of life and when I have a wonderful book it gives me joy to think of having a half hour spare to sit and get back into that place or to get into bed with that wonderful book again. Thanks Susannah andI look forward to more of your wonderful talks. Thanks for your very kind comments. It has been fascinating to see how many people have related to the MMM stories and map. There was obviously a serious charm about that village map. I look forward to reading them to my own grandchildren. Yes, books are one of the greatest pleasures in life, and I pity those who get no enjoyment from them. And thanks for coming to my talks Lexie – hope to see you at many more. That is kind of you – thanks Brian. I have just been lucky enough to spend some days with friends in Winchester and of course we spent a day at Chawton. There are lots of special exhibitions to mark the anniversary of her death and the Great House at Chawton is open for visitors, with a special exhibition. I am not sure about the 25 “Bookbenches”; they are scattered throughout the places associated with Jane, with one outside the Chawton cottage, but they are rather garish in their very bright colours. I am envious! I felt so torn in July. I wanted to be in the UK, seeing the exhibitions and other events for JA, and also wanted to be in Sydney for the many fabulous events we had on here to commemorate 200 years since her death. In the end, Sydney won out. JASA hosted a superb High Tea, a special church service, and there was a trivia night and a fashion event. All such fun. And I launched my new memoir which was very exciting.